Imagine for a moment living under a government that possessed unlimited and undefined powers, such as Communist China or Nazi Germany. What rights do you have now that you think you would lose? To whom, or to what, would you turn if you thought the government were treating you unfairly? How many of your own choices in life—what college to attend, what career options to pursue, whether to marry or have children—do you feel you would be free to make? If contemplating life under such a government seems depressing, that is because it is. Individual liberty and personal happiness cannot coexist with unlimited government. At the same time, there would be little security for our rights without government or under a government that does not possess sufficient power to effectively promote the public good. Striking this delicate balance has been a centuries-long endeavor in Anglo-American history. Initial strides towards limited government came in the Magna Carta (1215), which embodied the principle that the king’s powers were limited and subject to English law. Nearly five hundred years later, the Petition of Right (1689), citing the Magna Carta, reminded the king that it was the law, not a king, that protected the rights of Englishmen. For most of human history it was accepted that the political legitimacy of a king was derived from God, not from man, and that both law and liberty were subject to God’s will. Focusing on the king’s violation of a half-century of accepted British common law and the traditionally respected rights of Englishmen, the Petition of Right supported the conviction that liberty required that government be limited. Furthermore, liberty interests might supersede kingly authority. It also inspired the English Bill of Rights (1689) which contained strict limits to the power of the monarchy and identified certain inalienable political and civil liberties enjoyed by all Englishmen, regardless of royal prerogative. Together, these three British documents, Magna Carta, Petition of Right, and the English Bill of Rights, contained the basic tenets of limited government that would come to influence the United States Constitution and Bill of Rights. A philosophical shift in thinking about the proper role and source of government itself was also underway in the late 1600s, and was given effective voice in John Locke’s Second Treatise of Civil Government (1690). 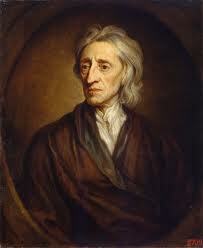 Locke argued that governmental legitimacy was based on the consent of the governed and on a responsibility to protect natural rights. While the Petition of Right acquiesced to the notion of the divine right of kings and merely reminded the king that previous monarchs had respected traditionally accepted liberties, Locke’s argument was radically different: people not only voluntarily agree to be governed, but possess rights that flow from nature itself, not from kingly decree. Further, the very purpose of government is not to rule but to protect those rights. “The great and chief end, therefore, of men uniting into commonwealths, and putting themselves under government, is the preservation of their [lives, liberties and property]” (John Locke, Second Treatise of Civil Government, 1690). In the Second Treatise of Civil Government (1690), John Locke argued that governmental legitimacy was based on the consent of the governed and on a responsibility to protect natural rights. Once free of Great Britain and wary of living under a government that possessed too much authority, Americans set out to form a new nation. The first attempt came in the Articles of Confederation (1781), which adhered very closely to the principle of limited government; perhaps too closely. The Articles established a “firm league of friendship,” and was little more than a loose association of sovereign nation-states with a weak central government. It could not adequately tax or regulate foreign and interstate commerce. It had neither an executive nor judicial branch to enforce its laws or mediate disputes. Further, any alterations to the Articles that might address these weaknesses had to be unanimously approved by the states, making changes nearly impossible. By 1787, it became obvious to many that the Confederation government was too limited in its scope and authority, and a convention was called in Philadelphia to address its deficiencies. What emerged from the Constitutional Convention elevated limited government from mere theory to a practical governing philosophy. Through a series of complex structures, innovations, and mechanisms, the U.S. Constitution both empowers and limits government, while providing the framework for each successive generation to regulate that balance. One feature of the Constitution that both empowers and limits the national government’s reach is the enumeration of powers. Article 1, Section 8 sets out the specific and finite powers that the national government may exercise. Although Article 1, Section 8 only specifically addresses the legislative (or law-making) branch of the national government, its enumeration of powers also provides de facto [in fact] limits on the president (who enforces the law) and on judicial officials (who interpret and apply the law) as well. What emerged from the Constitutional Convention elevated limited government from mere theory to a practical governing philosophy. The Constitution’s deliberate separation of powers, enforced through a system of checks and balances, is another feature that serves to limit our government. Liberty is most threatened when any person or group accumulates too much power. The Founders, therefore, divided our national government into three distinct branches and gave to each not only specific powers, roles, and modes of election, but ways to prevent the other two branches from taking or accumulating power for themselves. The president, for example, is commander in chief of the U.S. armed forces. However, it is the legislative branch that can declare war, and raises and maintains the armed forces through funding. Congress may impeach the president if it believes he is abusing authority as his commander in chief. Likewise, the president may refuse attempts by Congress to micro-manage wartime decisions on the basis of his role as commander in chief. This system serves to limit government by first lodging the various powers of government in different branches, then pitting those branches against one another in a jealous quest to preserve their power. Perhaps the most definitive limitations on government are found in the Bill of Rights. A firewall protects a computer from outside attempts to harm it, so too does the Bill of Rights guard fundamental rights, natural and civil. In fact, far from most Americans’ popular understanding of the Bill of Rights as a “giver” of rights (ask most Americans where they get their right to free speech and the answer will almost always cite the First Amendment), it is actually the “limiter” of government authority. The First Amendment’s words, for example, that “Congress shall make no law…,” significantly constrain governmental action in the areas of speech, religion, press, assembly, and petition. In similar fashion, the Fourth Amendment limits the executive branch’s ability to invade one’s home without probable cause and a warrant, and the Eighth Amendment prevents the government from authorizing drawing and quartering as punishment for a crime. The Bill of Rights does convey some rights. For example, the right to a jury trial. Unlike freedom of conscience, which James Madison understood to be a natural or pre-societal right, a jury trial is not a natural right. A decent and defensible civil society will convey protections ensuring fair trials. Liberty and anarchy are incompatible. Liberty and unlimited government are, too. The Constitution, through its unique approaches to balanced government, was designed to harmonize these positions by protecting rights while promoting competent government. Which of these was the earliest document to contain principles of limited government that were later reflected in the United States Constitution? Second Treatise of Civil Government. Which of these statements best expresses the practical significance of the Supreme Court’s decision in McCulloch v. Maryland? The Court validated the principle of judicial review. The Court validated the principle of implied powers. The Court validated the Constitution’s protection of property rights. 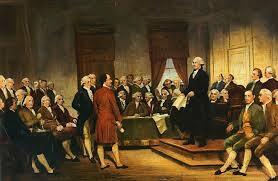 The Court validated the significance of the Bill of Rights. Which of these best expresses the significance of the United States Bill of Rights? It provides a list of all the rights government gives to citizens. It provides a list of all the freedoms that people have by nature. It provides a list of certain rights and freedoms that the Founders believed are critical to legitimate representative government .